Dubbed one of the "Fierce Five" for her talents in the world of gymnastics, Gabrielle Douglas at the 2016 BET Awards was bound to slay. At only 20 years old, the artistic gymnast and winner of gold medals at the 2012 Summer Olympics, Douglas would have been on June 26's red carpet to celebrate a nomination for Sportswoman Of The Year. Her name topped the list alongside legendary personas like Serena and Venus Williams, proving that she can undoubtedly hold her own. Unfortunately, Douglas missed the 2016 BETs. But her reason was 100 percent legit. She's currently competing in the National Championships — undoubtedly showing off her immense talent in the field of gymnastics. 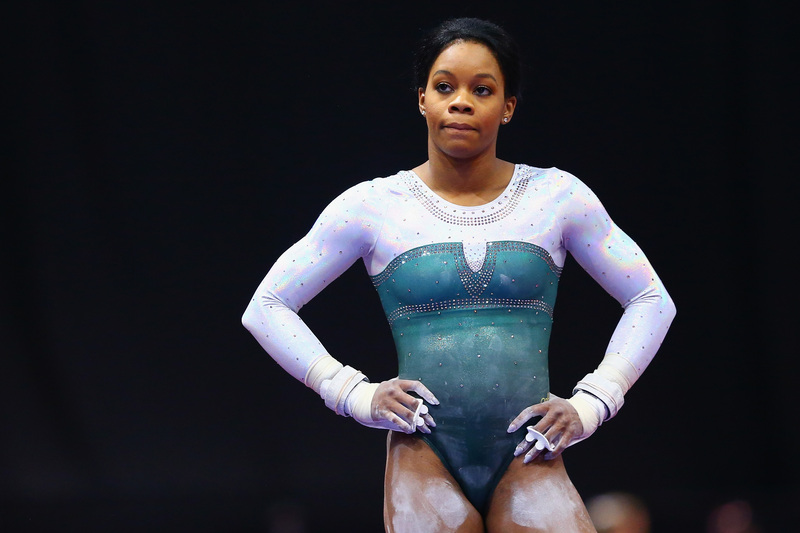 Although we didn't see Douglas at BET, it's important to take a moment to celebrate her work: This is a woman who not only took gold at the 2012 Summer Olympics, but who was also a member of the gold-winning American women's gymnastics team at the 2011 and the 2015 World Championships, and the all-around silver medalist at the 2015 World Championships. Her talents far exceed the ability to pull off a cute red carpet look — and there's no doubt in my mind that at the National Championships, she's showing the world why she received this nomination in the first place. Her athletic skills know no bounds; and tonight, it's worth tributing that fact.